Thanks so much to everyone who's sent in entries so far for the Droughtlander Photo Contest! I've received 75 entries so far, from fans all over the world, and all of the photos are terrific. I can't wait to share them with all of you! If you haven't sent in your entry yet, you have one more week. The deadline to send in photos is midnight Eastern Time on Saturday, November 7. You can see the contest announcement here. Please Note: If you mostly read on a Kindle, Nook, iPad, or similar device these days (as I do), you can still enter the contest! 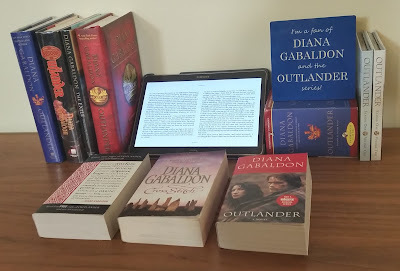 It's fine to submit a photo of your e-reader or tablet, as long as a page from one of Diana Gabaldon's books is displayed on the screen. I will acknowledge all entries with a reply by email within 24 hours. If you sent in a photo but you didn't get a reply back from me, please re-send it. Please contact me at contest@outlandishobservations.com, or leave a comment here or on my Outlandish Observations Facebook page, if you have any questions about the contest. Thanks! 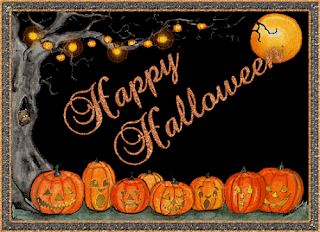 Here are some Halloween-themed quotes from Diana Gabaldon's books and stories. Hope you enjoy them! 3) Claire and Roger on Halloween night, 1968. If you're not familiar with the story Roger is referring to, look here. 5) Even wee Jemmy is affected by stories of "things that go bump in the night". There was; a single light, bobbing evenly over the ground, as it would if someone carried it. But look as he might, Jerry could see no one behind it, and a violent shiver ran over him. “Uisge,” said the other man under his breath. Jerry knew that word well enough--spirit, it meant. And usually an ill-disposed one. A haunt. “Aye, maybe.” The dark man’s voice was calm. “And maybe not. It’s Samhain, after all." 7) I don't care how many times I've read this, it still sends a chill up my spine, every time. Bloody hell, where was the man? If it was a man. For even as his mind reasserted its claim to reason, his more visceral faculties were recalling Rodrigo's parting statement: Zombie are dead people, sah. And whatever was here in the dark with him seemed to have been dead for several days, judging from its smell. He could hear the rustling of something moving quietly toward him. Was it breathing? He couldn't tell, for the rasp of his own breath, harsh in his throat, and the blood-thick hammering of his heart in his ears. Mandy bounced a little on her booster seat, leaning to peer out the window. She was wearing the Halloween mask Bree had helped her make, this being a mouse princess: a mouse face drawn with crayons on a paper plate, with holes pierced for eyes and at either side for pink yarn ties, pink pipe cleaners glued on for whiskers, and a precarious small crown made with cardboard, more glue, and most of a bottle of gold glitter. Scots celebrated Samhain with hollowed-out turnips with candles in them, but Brianna had wanted a slightly more festive tradition for her half-American children. The whole seat sparkled as though the car had been sprinkled with pixie dust. Finally, just a reminder that there's still time to submit your photos for the Droughtlander Photo Contest! Contest ends at midnight Eastern Time on Saturday, November 7. Release day for the OUTLANDISH COMPANION Vol. 2 and the Official OUTLANDER Coloring Book! Congratulations to Diana Gabaldon on today's publication of the OUTLANDISH COMPANION Volume 2 (aka OC II) and the Official OUTLANDER Coloring Book! There's a LOT to absorb in the OC II, and I think OUTLANDER fans everywhere will find that it was worth waiting for. I'm delighted to be able to add it to my collection at long last! I'm thrilled to see that my name was mentioned twice in this book. ...Karen Henry, Chief of Eyeball-Numbing Nitpickery, who kindly read all of the manuscript pieces for this book, with the exception of the "Cast of Characters" (only Kathy the copy editor had the guts to deal with that one). Her catches and suggestions saved me innumerable hours in the later phases of copyediting and proofreading. That phrase, "Chief of Eyeball-Numbing Nitpickery", makes me laugh, but it's really very apt. Thank you, Diana!! The effort was totally worth it, and I'm so glad I was able to help! Looking for more information about either of these books? 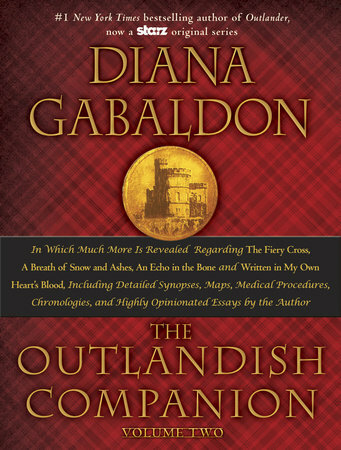 Diana Gabaldon gave a detailed description of the OUTLANDISH COMPANION Volume Two in an interview with the Poisoned Pen on October 11, 2015. You can see the video here. The part about the OC II starts at about 11:19 into the video, but the whole interview is worth watching. For information about both of the OUTLANDISH COMPANION books, including the all-new Volume 2, see my OUTLANDISH COMPANION FAQ page. For more details about the Official OUTLANDER Coloring Book, look here. Finally, just a reminder that an autographed hardcover copy of the OUTLANDISH COMPANION Volume Two is one of the possible prizes available to winners of the Droughtlander Photo Contest! Look here for details. Contest ends at midnight Eastern Time on Saturday, November 7. Thanks so much to everyone who's sent in entries so far for the Droughtlander Photo Contest! I've received 48 entries so far, and all of the photos are terrific. I can't wait to share them with all of you! If you haven't sent in your entry yet, there's still time. You can see the contest announcement here. The deadline to send in photos is midnight Eastern Time on Saturday, November 7. Check out this new OUTLANDER-inspired pearl necklace from Hamilton & Young!
" ... a string of small baroque pearls, those irregularly shaped productions of fresh water mussels, interspersed with tiny pierced-work gold roundels." Our necklace is fashioned from genuine Baroque Fresh Water Pearls and delicate gold plated pierced charms. We feel it is as authentic to the words in the book as it is possible to be. The necklace is 22” in length – with a short extender at the back to take it to 24”, and is presented in an attractive black and gold gift box. This is VERY close to the way the necklace is described in the books, and I really wish they'd used something like this in the TV series! I think it's gorgeous, and in fact I just ordered one for myself. <g> The cost (including shipping from the UK) is £42.99, which is about $67.71. If you use the code HEUGHANS at checkout, you'll receive a matching charm in honor of Heughan's Heughligans (pictured above), and 10% of the proceeds will go to help fund Youth Theatre Arts Scotland (YTAS), which is one of Sam Heughan's favorite charities. If you have questions about the necklace, or international shipping, or anything else connected with Hamilton & Young, please contact them directly. I have no information other than what is on their website. Please help spread the word to anyone else you know who may be interested. Thanks! With Halloween approaching, I thought it might be fun to talk about some of the spookiest, scariest, or most eerie moments in Diana Gabaldon's books. What are some of your favorites? - Margaret Campbell speaking in Brianna's voice, in the "crocodile" scene in VOYAGER (Chapter 61, "The Crocodile's Fire"). That always gives me shivers, especially the audio version! - Claire seeing Otter-Tooth's ghost in DRUMS OF AUTUMN (Chapter 23, "The Skull Beneath the Skin"), and her shoes appearing on the doorstep of their cabin on the Ridge. - Lord John's encounter with a zombie in his bedchamber, in "Plague of Zombies". 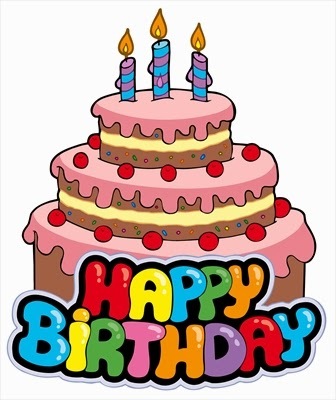 Happy 97th birthday to Claire Elizabeth Beauchamp Randall Fraser! "Happy Birthday, Sassenach,” he said. “I said ‘Happy Birthday.’ It’s the twentieth of October today." If you're on Twitter, please tag your tweets today (October 20th) with #SassenachBDay. In celebration of Claire's birthday, I'm reposting my "ABC's of Claire Fraser", which I first posted here in October, 2011. I got the idea from a writing exercise posted a few years ago on the Compuserve Books and Writers Community, which is the online forum where Diana Gabaldon hangs out. The idea is to list one word pertaining to the character for each letter of the alphabet, along with a brief explanation. If you have not read all of the OUTLANDER books, you will find SPOILERS below. Read at your own risk! B - Bravery. "Ye were always bolder than was safe; now ye're fierce as a wee badger." (A BREATH OF SNOW AND ASHES, Chapter 20, "Dangerous Gifts") Whether it's killing a wolf with her bare hands in OUTLANDER, or surviving the ordeal of being abducted and raped in ABOSAA, Claire never, ever gives up, and I find much to admire in that. C - Cat. Adso, to be precise. 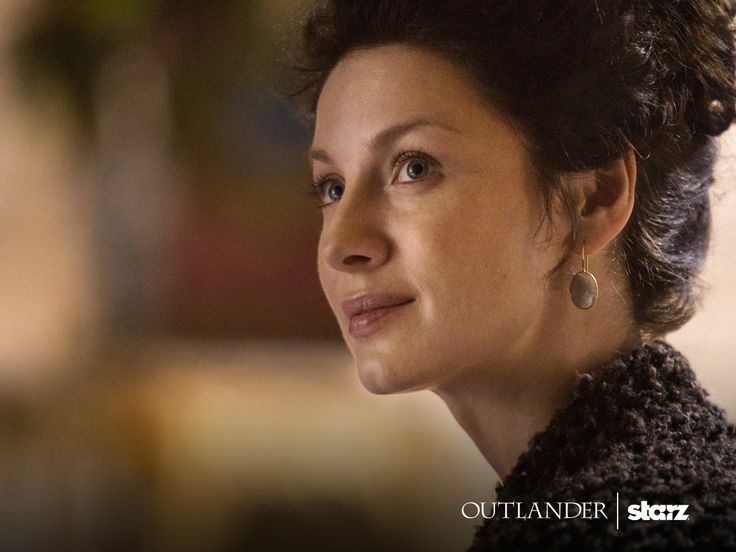 <g> Claire loves that wee cheetie, and the scene in ECHO where Claire says goodbye to Adso was just heartbreaking. As you can see just from these brief examples, Claire Elizabeth Beauchamp Randall Fraser is a remarkably complex, multifaceted character. Many thanks to Diana Gabaldon for creating such an unforgettable character, and also to Caitriona Balfe, who is doing an AMAZING job bringing Claire to life on TV! Thanks so much to everyone who's sent in entries so far for the Droughtlander Photo Contest! I've received 18 entries in the first week, and it's shaping up to be a terrific collection so far. I'm hoping for many more entries in the coming days. You can see the contest announcement here. The deadline to send in photos is Saturday, November 7. Just for fun, here's my contribution to the photo collection, showing all of the versions of OUTLANDER I own. (Because you can never have too many copies, right? <g>) Click on the photo for a bigger view. Please contact me at contest@outlandishobservations.com, or leave a comment here, if you have any questions about the contest. Thanks! As many of you know, Claire Elizabeth Beauchamp Randall Fraser's birthday is coming up on Tuesday, October 20. She will be 97 years old, believe it or not! We're asking OUTLANDER fans worldwide to join us in celebrating Claire's birthday! STARZ has kindly provided this lovely photo of Claire to help publicize the event. If you're on Facebook, Twitter, or other social-media sites, please take the opportunity to wish our favorite Sassenach a happy birthday on Tuesday. What do you like best about Claire as a character? What are some of your favorite Claire moments, from the OUTLANDER books, the TV series, or both? What do you think of Caitriona Balfe's portrayal of her in the TV series? Look for my special "Happy Birthday, Claire!" post on Tuesday. And please spread the word to any other OUTLANDER fans you may know. Thanks! Diana Gabaldon made a surprise announcement near the end of her interview with the Poisoned Pen on Sunday, October 11. The betting at the moment is that [the next book] will be a collection of three novellas, to be published in 2016. One of those novellas would presumably be "Virgins", the Jamie-and-Ian story, which is the only one of Diana's shorter pieces that is not yet available as a standalone e-book. The second novella is likely the story about Hal and Minnie that Diana recently started working on. And I have no idea about the third one, yet. The idea is that Book 9 would come out with Season 3, if we get a Season 3, and if we do, that would be airing in 2017. I was really startled to hear that Diana is aiming to finish Book 9 by 2017! If it happens, that would be the shortest time between publication of the main OUTLANDER books since DRUMS OF AUTUMN was released in 1997. When I asked Diana (somewhat tongue-in-cheek) on Compuserve whether she was planning to clone herself in order to get the book done that fast, she gave me a very detailed reply. Among other things, she said she's planning to cut way back on traveling and public appearances in 2016, presumably so that she can concentrate on writing. I would encourage you to read Diana's explanation in her own words. Finally, a word about publication dates: Please keep in mind that they are never set in stone! We saw that with WRITTEN IN MY OWN HEART'S BLOOD, which had a last-minute delay in publication, at Diana's request, so that she could get the book finished to her satisfaction. I'm sure that she will do her utmost to get Book 9 completed in 2017, but there are no guarantees. Diana Gabaldon will be doing a live web interview at the Poisoned Pen bookstore in Scottsdale, AZ, tonight (Oct. 11) from 7-8pm Pacific time (10-11pm ET), to celebrate the upcoming publication of the OUTLANDISH COMPANION Volume 2 and the Official OUTLANDER Coloring Book. The actual publication date is October 27, but they're doing this event ahead of time because Diana will be in Scotland on the 27th. UPDATE 10/12/2015 7:57 am: The event is over, but you can see the video here. It's about an hour long, and very interesting. For more details about the Official OUTLANDER Coloring Book, look here. For information about both of the OUTLANDISH COMPANION books, including the all-new Volume 2, look here. Things have been pretty quiet in OUTLANDER fandom lately, as the #Droughtlander continues. We probably won't see Season 2 for five or six more months (no, we still don't have a premiere date! ), and Diana Gabaldon is still in the early stages of writing Book 9. So I thought it would be fun to have a Droughtlander Photo Contest, as a way to pass the time while we wait. I've done similar photo contests twice before, in 2012 and 2013, and I always enjoy seeing what everyone comes up with. Yourself, a friend, or a family member (including children or pets!) reading or holding one of Diana Gabaldon's books. At least one of Diana Gabaldon's books must be included in the photo in order to qualify for the contest. The photo must be one that you took yourself, or that you have permission to use. 3) Photos must be received by Saturday, November 7, 2015, at midnight Eastern Time. Winners will be chosen at random on November 8, 2015. 4) One entry per person, please! 5) You do not have to be a US resident in order to enter this contest. PLEASE NOTE: I will acknowledge each entry as it's received with a reply by email. If you sent in a photo but you did NOT get a reply back from me within 24 hours, please re-send it and make sure that you put "OUTLANDER Photo Contest" in the subject line, so I will know it's for the contest. Thanks. UPDATE 11/8/2015: The contest is now over. You can see the results, along with a slideshow of all of the contest entries, here. Many thanks to everyone who participated!! 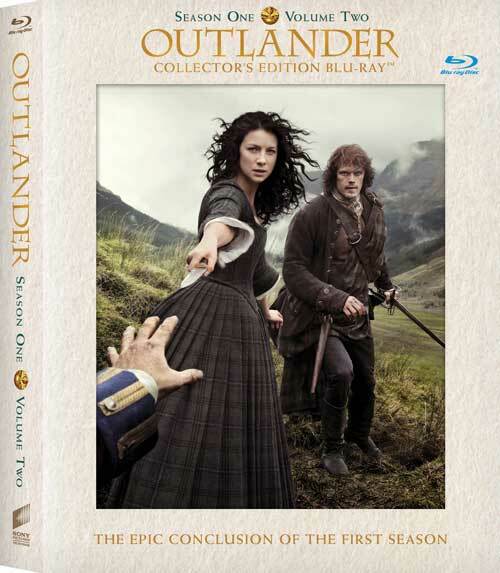 Here are my reactions to the "extras" and special features on the OUTLANDER Season 1 Volume 2 Blu-ray Collector's Edition. There are SPOILERS below, for the deleted scenes and for the extra bits included in the extended edition of Episode 109, "The Reckoning". Read at your own risk! The packaging of the Volume 2 Blu-ray Collector's Edition is similar to Volume 1. The two volumes together look good as a matched set. I like the "lenticular" that changes from Black Jack Randall to Claire and Jamie. We have seen some of this before, but it was fun to see Diana's reaction to visiting "OutlanderWorld" for the first time. I especially enjoyed her reaction to the armoury. She was obviously having a lot of fun with the 18th century weaponry! I liked Diana's comment about BJR's office ("He probably collects prehistoric artifacts"), because this is the sort of thing that only the author would know about him. The level of detail in the prop department is amazing! The cast and crew look like they're having a good time. I thoroughly enjoyed this segment -- all of it! I love hearing the actors talk about their characters. And I liked Diana Gabaldon's comment that Claire "really has no role in life [in 1945] except as Mrs. Randall". I thought Cait's and Tobias's comments about Black Jack Randall were very interesting. Tobias is exactly right when he says that "the aim [was] to break Jamie psychologically", and I think that came through very clearly, especially in Episode 116. It was interesting to see how the weaving of a tartan is done with modern machinery. I think this segment went on a bit too long, though. I think Ron Moore's introductory comments before each scene were helpful in providing some context and insight into the reasons why these scenes were deleted. "I'm no stable-boy. I'm the Laird of Lallybroch." Yes, and surely Claire should know that by this time, after all the time they spent on their wedding night talking about Jamie's family! The scene was well-acted, but I didn't really care for it. I have mixed feelings about this scene between Colum and Ned Gowan. They play it very well, but the way the scene is written, it makes Colum out to be much more of a villain than in either the book or the final version of the TV episode. I also think that this scene doesn't really work as the opening to the episode. I think it's much more effective to do it the way they did in the final version, with the focus entirely on Claire and Geillis's situation. This second deleted scene with Colum and Ned is very well-written and well-acted, but I was distracted throughout by Ned's (apparently) broken nose. I did like Ned's smile when he said, "She got away." I was fascinated to see how they dealt with Ian's wooden leg. I had been wondering how the special effects people would handle that. The scene itself is really not necessary, though. It seems intended only to make the point that the father wasn't normally present during childbirth, and I think most viewers are intelligent enough to figure that out for themselves. I was intrigued by Ian's comment that "My best days were spent soldiering", especially in view of what we know from the later books, about how he didn't want Young Ian to serve in the army. I liked seeing the full scene of Jamie putting on his kilt, and I'm glad they were able to keep at least an abbreviated version of this scene in the final episode. The scene with Claire and Murtagh is really wonderful, and I wish they'd left it in. "If the lad is truly gone, I vow to protect you the rest of my life, just as I swore to Ellen to protect Jamie." Wow. What a terrific line! I had tears in my eyes the first time I watched it. I love the final version of Episode 109 ("The Reckoning"), as shown on TV, and I was a little reluctant to watch this extended edition at first. But I found that the extra scenes didn't affect my enjoyment of the episode at all. It's interesting to see the alternate opening scene, but I like the final version, with Jamie's voice-over by the stream, much better. "But there are conditions you'll have to heed" - what kind of way is that to lead into the episode? It's not suspenseful at all, IMHO, and I'm glad they cut that bit. I didn't care for the added scene with Jamie, Murtagh, Angus, and Rupert. Too much time wasted talking, when they're already inside Fort William, Claire is in danger, and every second counts. I loved the extra bit at about 8:39 into the episode, where Jamie looks over the wall to see the courtyard and the whipping post below, and has a brief flashback to the flogging, interrupted when Claire screams. I thought that was very effective in illustrating what was going through his mind at that moment, and I wish they'd kept it in. I liked Rupert's line on arrival at Castle Leoch, dripping with sarcasm as he says, looking around at the deserted courtyard, "It's good to be home, in the loving bosom of those that hold us dear." "I prefer not to follow behind my wife." "So walk faster." I like this bit. The little scene with Alec and Mrs. Fitz greeting Jamie is nice, but not necessary. The extra scene with Jamie and Claire in the bedroom is well-acted, but kind of overkill, IMHO. We can see that Colum was furious; we don't need Jamie to spell it out for us. And we already know that Claire's still mad at Jamie, so there's no need to belabor the point. I actually didn't mind Jamie swearing at Claire in Gaelic. (Apparently what he says is "sgaradh ort", which is something like "eff you". Thanks to Mandy Tidwell for that translation!) He's exasperated and clearly has no idea how to rectify the situation. I liked the scene with Jamie and Murtagh in the kitchen very much! I wish they'd kept it in. "What's done is done, lad. It's what ye do next that matters." Good line from Murtagh. The extra scene with Colum and Jamie talking about clan politics was interesting, but I can see why they cut it. There just wasn't time to include everything. The scene with Geillis and Jamie came as a surprise to me, and I didn't care for the way she was flirting with him. "You'd be amazed at what my concoctions can do to a body" seems clearly intended as foreshadowing of her poisoning of Arthur Duncan in Episode 110. The fight between the clansman was dramatic, but not really necessary, so I can see why they cut it. I did like the way Jamie put a stop to it, though. The scene in the bedroom between Jamie and Claire contains a few extra lines, but they weren't particularly memorable and I can see why they were cut. Overall, I enjoyed seeing the Extended Edition of this episode, but I still prefer the final version as shown on TV. My recap of Episode 109 is here if you're interested. 35.60% - Of course, if Jamie Fraser was waiting for me! 17.57% - Maybe for a short visit, but not to live there permanently. 11.59% - Yes! I'd love to see the 18th century. 8.24% - No. I like reading about it and/or watching it on TV, but I have no desire to time-travel myself. 6.61% - Yes, but I'd have to bring some essential items with me. 6.16% - No, I couldn't leave my family and friends here. 3.71% - No, I wouldn't survive in an earlier time. 2.81% - No, I'd miss the conveniences of modern life too much. 1.90% - No, it took a lot of hard work to live in the 18th century. 1.63% - I'm not sure. 1.09% - I don't believe time-travel is possible. 0.27% - No, it sounds too dangerous. I'm 84 now...I might have if I were younger,too much adventure could kill me! no, the fourteenth century is more my speed. I would have to be immune from injury, sickness and a sense of smell. I'd like to see it, but not actually be there! I'd have loved it when I was younger... & either Jamie; or bring my own Jamie! Yes as long as I could safely return whenever I choose to return. Depends - backwards/forwards? Can you come back? I would go through the stones as long as I could come back when I wanted to. All of the above "No" answers, combined, lol. no, what will they do with deaf person? No, being African-American my life would most likely be very unpleasant. Only if I could bring my daughter, and money. No, I'd miss this blog too much! I want to go visit my 3x grandpa. So many ?'s! There were 1104 responses to this month's poll. Thanks very much to everyone who participated! Please take a moment to vote in the October poll, which asks, "What do you think of the Lord John books and stories?" Thanks!